Scientifically, there are two proven techniques of the hair transplant procedure, namely the FUT/Strip hair transplant and the FUE hair transplant. The technique utilization in the restoration surgery can be best defined by their significance and relevance that tells us that why is it needed to opt particular way of extraction method to fulfil the implantation goal. Both the techniques, whether it is FUT or FUE has the same goal to extract/harvest the particular number of grafts/follicular unit to achieve the desired goal of the hair restoration surgery. Both the techniques have their role, advantages, and limitations in the perspective of hair transplant. But, it is a universal fact that the method of strip excision/FUT hair transplant gives the best outcomes regarding some grafts that are cosmetically accepted to fulfil the requirement of an aesthetic hair transplant in Delhi. 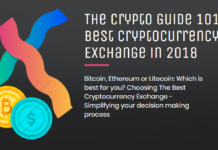 Before explaining anything, it is important to know about each technique separately, and here we are outlining the technique with respect to their result and relevance in the restoration world. The FUT hair transplant involves the strip excision from the safe donor area that gives a number of grafts to fulfil the need of a bald head. The strip excision is followed by a simple incision that is made by the expert surgeon who has proper and complete knowledge about the feasible depth and density, which is needed to excise a healthy strip from the donor area. The FUT only targets the safe donor area for the extraction, i.e., the back and sides of the scalp which are destined to remain permanent and hence those roots are meant to last forever. The safe donor is the one whose hair roots are DHT-resistant and never show the effect of miniaturization or hair loss/baldness. 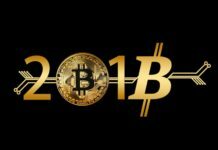 This is the main attracting point of the FUT technique, and most of the expert surgeon prefers the FUT in the view of giving the permanent result of the hair transplant procedure. The hair transplant cost of FUT is relatively less as compared to FUE technique. 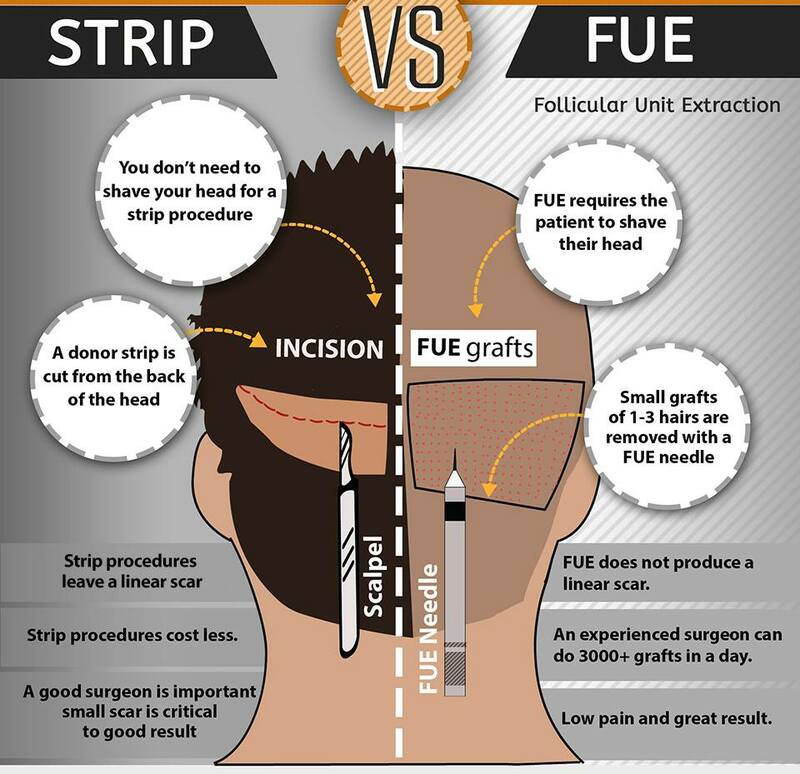 During the FUE hair extraction, each individual hair follicle/graft is extracted from the donor area, which is targeted for both safe and unsafe areas of the scalp. It is ideal for those patients who have a lesser grade of baldness such as the NW-II or NW-III. The graft damage rate is comparatively high because the individual follicular unit is extracted randomly! The chances of graft damage can exceed if the performing Surgeon is not well-practised as it is the blind technique and graft are extracted on the basis of speculation or forecasting. 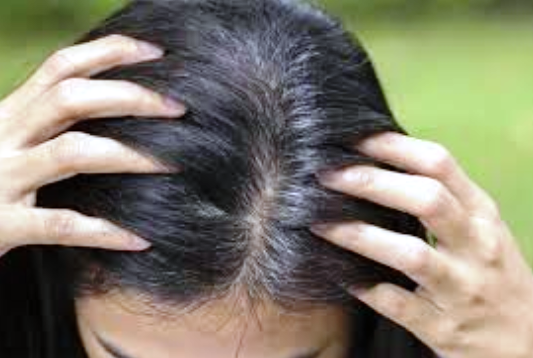 It is quite difficult to know about the exact graft/hair root direction from outside of the scalp. Therefore, it leads to a heavy damage and mainly used for the body hair transplant or when a hair loss candidate doesn’t possess the required criteria to receive the FUT technique. Donor Depletion: The donor depletion rate is very high if the chosen technique is an FUE hair transplant. Since the FUE hair transplant involves the random punching for the extraction that compels a Surgeon/Doctor to target the unsafe area too. This random punching extraction depletes the donor area and scrapping the possibility of the second sitting. Graft damage rate is comparatively High: The damaging rate of the graft being very high in the FUE technique because the individual follicular unit is extracted one-by-one that not only reduces the strength of donor area, but also leads a higher damage risk because of the extraction of naked graft that either possess the less or negligible tissue. This is the blind technique, which is based on the speculation leads to a heavy damage in the hair restoration. Splaying: In case of double or triple hair grafts when a Surgeon tries to take a single hair root, the other roots are likely to get damaged as the punching tool has a certain diameter, which is difficult to extract a graft containing 2-3 hair roots. This case is termed as splaying between the hair roots. Wrong Angle & Direction: Since it is based on the forecasting and speculation, a Doctor fails most of the time to define the exact angle & direction for the hair root extraction. The Dynamic Shift of the Hair: The punching pressure for the extraction causes a change in the structure of hair leads to dynamic shift and damage of hair roots occur. Hair Structure: There are mainly 3 types of hair like straight, curly, and wavy. Each type needs a different shift in their root angle & direction. In the FUE technique, it is quite difficult to extract the curly or wavy hair roots because of their different number of grafts in a single follicular unit leads to heavy damage while extraction is going on! On the whole, we can say that the technique selection in the hair transplant procedure has a pivotal role that decides the success of the procedure. The FUT has always been a great remark with the perspective of a greater amount of graft as well as fulfilling the true cosmetic goal of the procedure.